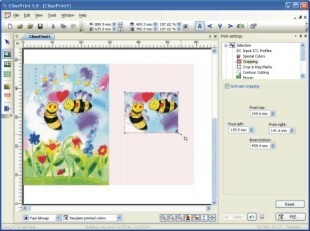 This tool allows the automatic creation of multiple copies of the same design, with instant preview capability and possibility to graphically modify the copies. Total control of spacing between designs and possibility of adding cutting lines. It is also possible to generate numbered copies with pre-determined incremental numbering series. If designs are too large (length and width), automatic pagination or tiling will be automatically made. Design will be divided in all necessary parts and optional overlapping between pages will be made to facilitate the job. It is possible to graphically displace areas where pages will be divided to avoid the coincidence with specific design areas. A powerful function to select part of a design and cut it along the selected area. A very handy feature to print part of a large design, saving time and material, allowing the application of different ICC profiles to each area and perform print tests to select the best profile. With CiberPrint you can assign a color from the working design to a cartridge containing a special color or to assign the color to a cartridge combination. 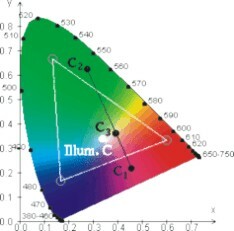 This is very useful when printing special colors (red, green, white, fluorescent, etc.). This function places and distributes efficiently all designs, saving time and material. The manual distribution assistant allows the quick positioning avoiding the design accidental overlapping. A powerful function to automatically generate independent panels of a given design, with the possibility of generating overlapping and the adjustments of the design to the panels. This is a very handy function to prepare show and display panels. 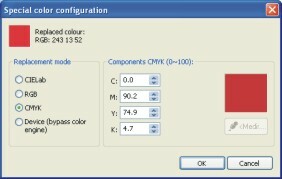 CiberPrint is able to select a specific color from the design and modify it by assigning a CMYK or RGB value. It also permits to read a color by using a colorimeter and therefore to achieve the exact matching of the chosen color. Ciberprint is provided with a vaste library of ICC profiles. Other standard profiles created by other systems can be added. CiberPrint is supplied with a utility to automatically generate color palettes from a given color and able to generate different color combinations. Each patch is printed with the correct CMYK color composition. CiberPrint create professional contract quality proofs right in your inkjet printer. 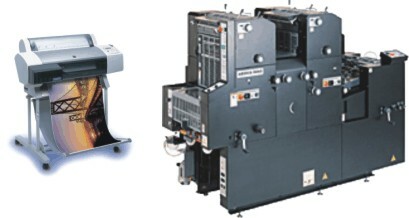 A color profile of the printing press can be selected, and CiberPrint will generate a printout in the actual printer, simulating the color that will be obtained in the printing press. CiberPrint is provided with a special function to cut contoured or outlined jobs if the printer is capable of contour cutting. 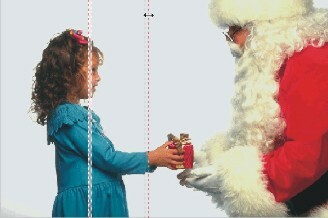 It allows the selection of a color in the design, an image clipping area, or automatically generating an outline. The perfect preview function avoids errors to the final cut job. The Job Manager allows to quickly free the program from the processing printing task, thus freeing the program to start working with the next job. The SERVER (optional) provides high productivity tools for the production environemnt. All jobs received from networked computer units (clients) will be queued for each printer, either by assigned job priority or by different choosen materials.